WIN! Les Jumelles Jewellery - Open Worldwide! Les Jumelles is a charming online jewellery shop with a wide and eclectic selection of vintage and contemporary jewellery. Many of their pieces combine old and new by recycling vintage pieces alongside modern chains and fittings. Their site is full of unique pieces and I've teamed up with them to offer one reader their pick of the six items pictured above. This giveaway is open worldwide - just follow the simple steps below. Best of luck everyone! Love them! My favourite pieces are the rings - would be hard pressed to choose just one! Love the Feuille Turquoise necklace! SHINY!! I love the Alice in Wonderland necklace!! So cute! Definitely entering this! 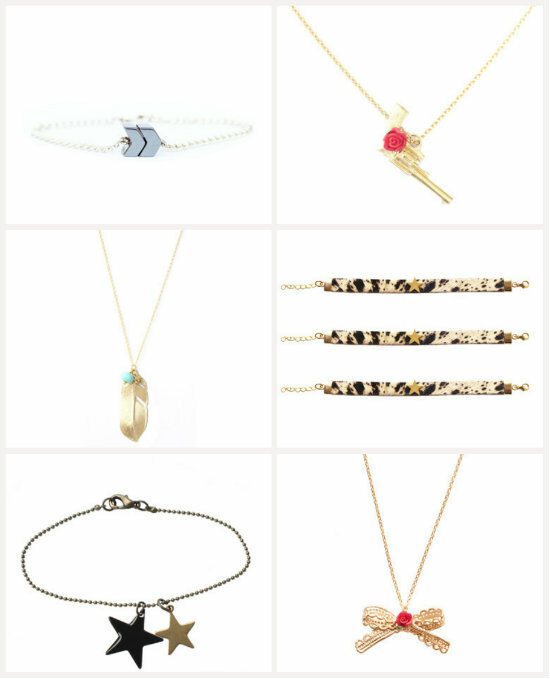 Really pretty pieces. Keeping my fingers crossed! Love your compos Fluffy - keep them coming! Great giveaway! I really like the necklace with the stars. These pieces are very cool Emma - some lucky girl will be very happy with you. I love "LA PETITE LIBELLULE BRACELET- VIOLET ET VERT". I'm always drawn to jewellery with a nature theme and this is really pretty. Love the bracelet star but picking a colour is hard! I love this ring http://www.lesjumellesboutique-shop.com/product/nadja-ring, I think you would like it too Emma! Thanks for your comment yesterday, really appreciate all the nice thoughts! The bracelet chain in mint is an absolute beauty! love the water can necklace. Following you now. Fabulous - count me in please! I adore this one, amongst others! Oh, pretty. What a lovely prize. I love the bohemian peace- noir necklace!! its so cute! Lovely, thanks for yet another fab giveaway.